When your Lafayette dentist tells you that would benefit from orthodontic treatment, you may suddenly fear metal wires or clear aligners that take months to shift your teeth into their proper positions. If you want a straighter smile quickly, Dr. Young may suggest a treatment known as “instant orthodontics.” Veneers, bonding, LUMINEERS, and crowns can make your smile appear straighter in just a few visits to our Lafayette dentist office. “Orthodontics” typically implies using gentle forces to push your teeth into alignment. Instant orthodontics, however, doesn’t actually adjust your teeth. Instead, the treatment simply covers your teeth to hide gaps and misalignments. Since there are no wires, brackets, bands, or aligners, you don’t have to deal with poking, pulling, breaking, or irritation. Furthermore, instant orthodontic treatments can straighten, whiten, and restore your smile in just one procedure. Dr. Young’s cosmetic treatments can instantly improve your smile. Porcelain veneers: Veneers are thin ceramic shells that are attached to the front of your teeth. Your restorations will be handmade by a dental ceramist to provide a symmetrical and natural-looking appearance. LUMINEERS: LUMINEERS are porcelain veneers that don’t require any alteration of your natural tooth structure. 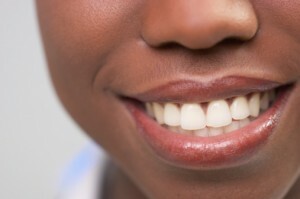 Cosmetic bonding: Bonding is an alternative to veneers. Dr. Young will apply a composite resin to the outside of your teeth. He will then sculpt and harden the material to enhance your smile in just one visit. Dental crowns: Crowns are full-coverage restorations that cover damaged or misshapen teeth. A crown can be used to repair a cavity, restore a broken tooth, create an even bite, or provide a natural shape to your teeth. Instant orthodontics is a convenient alternative for people who want to remove misalignments quickly and effectively. At your cosmetic consultation, Dr. Young will evaluate your smile and recommend the immediate treatment that will work best for you. Call (337) 237-6453 to request an appointment with our dentist office in Lafayette, Louisiana.